Sandwich Containers There is 1 product. 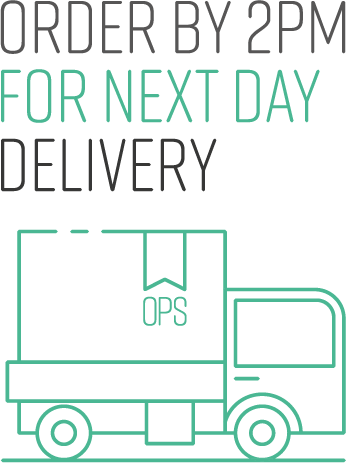 Whichever type of sandwich packaging you opt for, you’ll have the chance to buy in bulk from us and stock up at a great price. Ah… the humble sandwich container. There’s nothing quite like it for reminding hungry workaholics they’ve forgotten to stop for lunch. Fresh and healthy bread, tasty and colourful fillings, great sandwiches are a bit of a work of art. And in our opinion, just like works of art, great sandwiches need proper framing to set them off at their best. We like to think our sandwich boxes are just a bit like artistic picture frames for the sandwich ranges you’re stacking on your shelves. If your priority is pricing and visibility, then you’ll want to opt for something like the clear PVC standard packaging – an end fold wedge designed especially for sandwich sellers. You can choose the slimline or deeper fill versions, allowing you to make the most of the competitive lunchtime rush. With a ribbed exterior that is easy to hold as well as strong and robust, PVC sandwich wedges also have a hinged lid, which means the customer can save one for later. Another alternative is the biodegradable sandwich container. 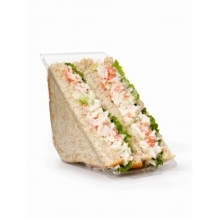 These give a big tick in the eco-friendly department, and they also look classy and high quality, with a transparent film panel so the sandwiches and their fillings can be seen clearly. So if sandwiches are the bread and butter of your business, order from us and have your fill – that’s deep fill or standard slimline, of course - of great quality sandwich containers at a very tasty price. Available in standard size or deep fill. PVC Sandwich Wedges are economical and give high visibility to sandwiches and fillings for sale. Read the full product description.